Taylor Made Construction is a pioneer in the siding industry. With over 50 years of expertise in installing all types of siding for residential buildings, we are committed to offering our customers an experienced and professional staff. So call us today to get the job done right, at an affordable price! 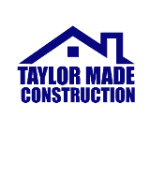 Taylor Made Construction prides itself on using its experience and knowledge to provide you with the best products to match your budget and complete your projects in a timely manner. We offer composite and redwood deck solutions. So call us today to get started on designing or repairing your deck! Since the 1970s, Taylor Made Construction has always been the “go to” company for window and door installations. So if you want the job done right the first time, give us a call! Taylor Made Construction is a realtor’s best friend when it comes to dry-rot repairs. Need a clear section 1, or have to complete a buyer’s request for repair to close your deal? Call us today, as there is no repair too big or too small. Not only can we beat your termite inspectors bid, but we will pay for your inspection fees as well! We also offer next day services! Taylor Made Construction is dedicated to designing and remodeling your kitchen and bath from beginning to end. With our experience, product knowledge, and expertise, we will embrace your conceptual desires, work within your budget, and complete your project in a timely manner. And unlike some other companies, all of our work is completed in-house —from countertops, to flooring, and cabinets to lighting; you only deal with our crews. Whether it’s a repair or a complete backyard renovation, Taylor Made Construction is experienced in all aspects for installing fences, patios and complex landscaping. You can see for yourself by taking a quick look at our portfolio which includes many examples of the type of work we can do for you!.